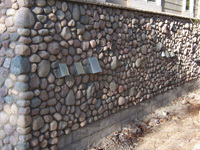 Remodeling, Repair Work, and New Construction - Studer Masonry Inc.
Studer Masonry Inc. has been providing masonry and concrete services in the west metro for over 30 years. Studer Masonry has always been an owner operated company which in turn gives its clients the security of knowing who will be working on their home. 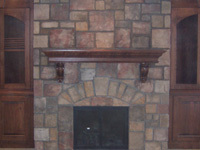 One word to describe Studer Masonry would be Integrity. Getting referrals because of the honesty and integrity in our work is what has allowed us to thrive for over 30 years. Footing and block foundation work for remodeling and new construction. 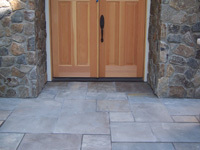 Concrete basement floors, garage floors, sidewalks, patios and driveways. Full range of stone and brick work which includes masonry fireplaces, outdoor patio fireplaces, stone planters and stone or brick surrounds to existing and new homes. © 2019 Studer Masonry Inc.